Dr. Larry Schou is Dean of the College of Fine Arts at The University of South Dakota, where he also teaches organ. 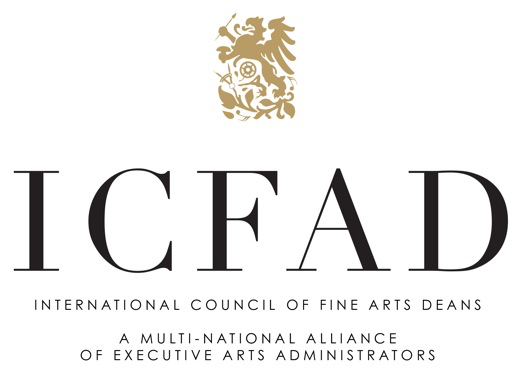 He leads a college of six units (three academic departments---Art, Music, and Theatre and three non-academic units---The National Music Museum, the Black Hills Playhouse, and the University Art Gallery). Dr. Schou received his graduate degrees from the University of Michigan. 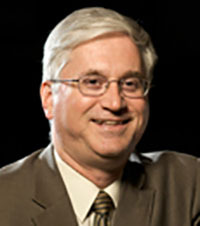 Dr. Schou previously served as Associate Dean of the College and Chair of the Department of Music. In 2011, Dr. Schou was selected to attend the prestigious Harvard University Management Development Program, an international leadership program. Dr. Schou is active as a fundraiser for the college where he is currently working on a $41 million campaign. Dr. Schou serves on the Board of Trustees for the National Music Museum, the Board of Directors for the Black Hills Playhouse, and the University Art Gallery Board. He served three terms, 1996-2002, on the American Guild of Organists National Council as Regional Councillor for Region VI. He served two terms (2007-2011) on the AGO Professional Networking and Public Relations Committee. He served on the AGO National Nominating Committee (2011-2014) and was Director of that committee 2013-2014. Dr. Schou is listed in the eighth and ninth editions of Who's Who in America's Teachers, the 59th and 60th editions of Who's Who in America, the 7th edition of Who's Who in American Education, and the 23rd edition of Who's Who in the World, and the AcademicKeys Who's Who in Fine Arts Higher Education. Dr. Schou was honored by being included on the list of "Outstanding Young American Men," and was presented the "Outstanding Young Citizen" award by the Vermillion Jaycees, and the "Outstanding Young South Dakotan" award by the Jaycees of South Dakota. Dr. Schou is an accreditation evaluator for the National Schools of Music Association. As a recitalist, Dr. Schou has performed with the Detroit Symphony Orchestra, the Allen Park Symphony, the Rogue String Quartet, the Kirk Chamber Orchestra and the South Dakota Symphony. As a solo artist, he has performed throughout the United States and Europe. He was a guest lecturer/performer at the 20th Annual International Organ and Church Music Institute. Schou performed at the 1995 Organ Historical Society National Convention, and at the 1996 25th Annual Meeting of the American Musical Instruments Society. Dr. Schou was the opening recitalist for the 1991 Region VI AGO Convention, and opening recitalist for the 33rd Annual Conference on Organ Music at the University of Michigan. Dr. Schou's performances have been broadcast on Minnesota, Iowa, and South Dakota Public Radio. He was the harpsichordist for and a founding member of the early music ensemble "Dakota Baroque and Classic Company." He has had articles published in several journals and given presentations to area musical organizations.